Cysteine is an amino acid, which functions as a building block of proteins. When used as a supplement, cysteine is generally in the form of N-acetyl-L-cysteine, or NAC. Your body converts NAC into cysteine and then into an antioxidant called glutathione. Antioxidants battle harmful substances called free radicals, which destroy your cell membranes and DNA. Despite its benefits, a cysteine supplement should be taken only after you consult your doctor, as it has the potential to cause side effects. The University of Maryland Medical Center reports that extremely high doses -- more than 7 grams -- of cysteine may be toxic to your body's cells and may cause death. You should also avoid other forms of cysteine such as D-cystine, 5-methyl cysteine and D-cysteine, as they are toxic, too. Taking NAC, or L-cysteine, by mouth may lead to vomiting, diarrhea, epigastric pain, heartburn, rectal bleeding, dyspepsia and nausea, reports Drugs.com. Dyspepsia includes a wide array of digestive problems such as bloating, belching, stomach discomfort, appetite loss and gas. Use of nebulized acetylcysteine -- the active ingredient of NAC -- may produce adverse effects such as nasal discharge, inflammation of the mucous lining of the mouth and spitting up of blood from the respiratory tract. When administered intravenously to treat acetaminophen poisoning, L-cysteine may give rise to severe allergic reactions that include swelling of the soft tissue underneath the skin including the lips, face and around the eyes, and swelling of the deep layers of the skin. 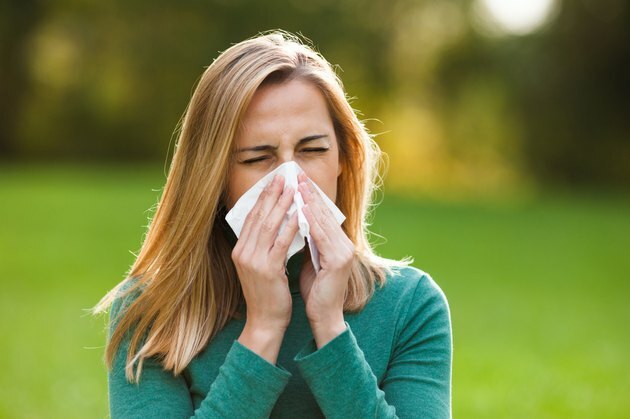 The cysteine supplement may also cause a dangerous allergic reaction. Rashes can occur with intravenous administration of cysteine supplements. Rashes mainly consist of transient flushing -- intermittent attacks of redness of the skin together with a burning sensation -- on the neck, face and upper trunk. When breathed into the lungs, L-cysteine may trigger symptoms such as mouth numbness, drowsiness, runny nose and tightness in the chest. The supplement may make asthma symptoms more severe. If you have asthma, you should use L-cysteine only under the guidance of your health care provider. If you take L-cysteine orally, you may experience central nervous system side effects such as light-headedness, dizziness, weakness and drowsiness. Other symptoms such as increased intra-cranial pressure and headache have occasionally occurred after taking the oral dose, says Drugs.com. L-cysteine use may enhance the effects of immune-suppressing medications such as cyclophosphamide, prednisone or azathioprine. Therefore, talk to your doctor first before taking cysteine supplements with these medications. Likewise, the effects of medications used to treat chest pain such as isosorbide and nitroglycerin become stronger when taken together with L-cysteine. The combination may also elevate the risk of side effects such as severe headaches and may lead to a fall in your blood pressure. Hence, take L-cysteine with these medications only after your doctor tells you to do so. You should avoid taking cysteine supplements if you have cystinuria, a kidney condition in which excessive cysteine is expelled in your urine, advises UMMC. L-cysteine may also increase the levels of homocysteine, an amino acid tied to heart disease. Therefore, check your homocysteine level if you are using the supplement.